Woodturning Pine Stairparts available from JAS Timber now! 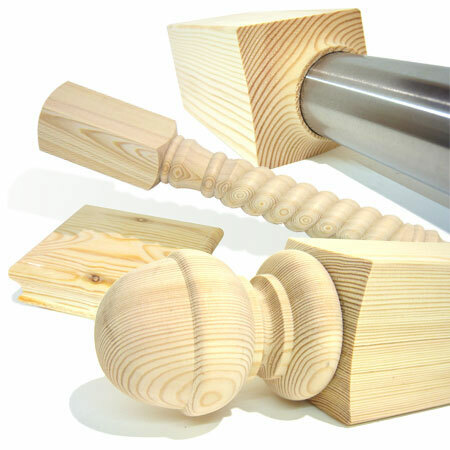 Specials For Woodturning Pine Stairparts available from JAS Timber now! Get 25% OFF Specials For Woodturning Pine Stairparts now! SFW staircase components have been carefully designed to give warmth - good looks - and a touch of class to any home. Computerised machinery and years of wood turning experience have made SFW a quality manufacter, offering high volume production. All components are sanded to a smooth finish leaving you the minimum amount of work. Specials For Woodturning Pine Stairparts are available to buy online from JAS Timber now!